We love a good salad and I am always on the look out for something to steer me away from my basic "spring greens". 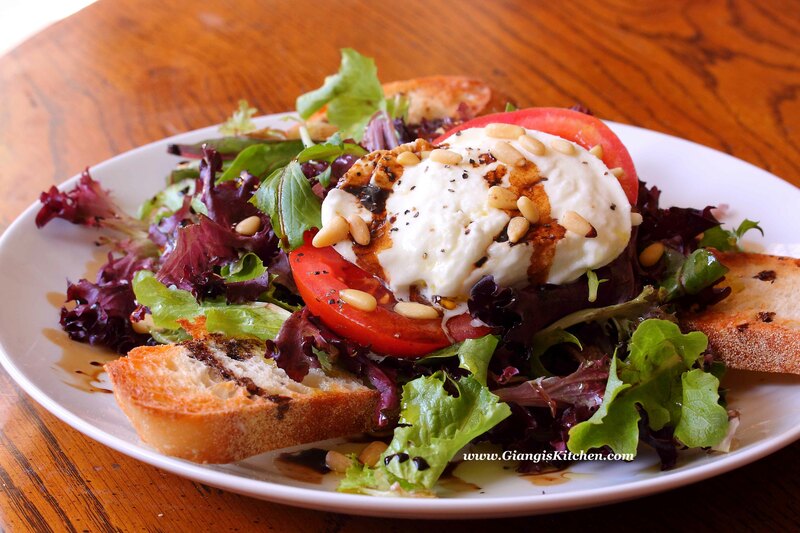 Playing with two basic recipes, brought me to make this delicious Panzanella Caprese Salad. Why not? Isn't cooking about trying new things? Perfect for lunch, lightdinner or problably because you just crave it. And theladder would be me every other day. As you know panzanela required cubed toasted bread. 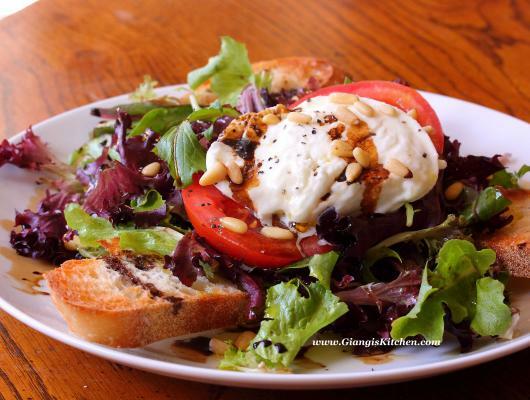 I wanted to have a large piece of sourdhough bread to soak up al the balsamic vinegar andolive oil. The combination of al he ingrediens leaves you with wanting more. Donotforget the pine nuts. Yu can either toast them or leave them as they are. Either way, they are delicious woth this salad.